In an effort to give investors a higher level of account security, we've added the two-factor authentication setting to your account when logging in via our website. 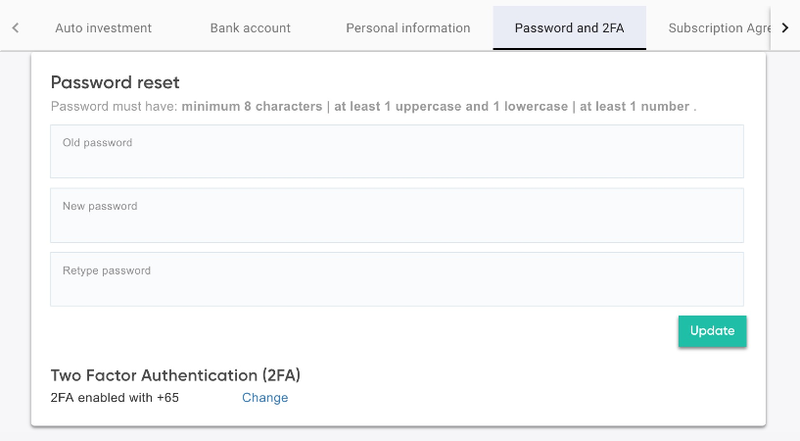 What is two-factor (2FA) authentication?2FA adds a second verification step when you login to your Funding Societies account. After you enter your password successfully, we'll SMS a code to the mobile number registered on your account. Please enter the code into the next field to login. How do I turn on 2FA? Simply login to your Funding Societies account via our website and you will be prompted to set it up. Why is 2FA better for security? If someone were to gain access to your password (for example through guessing), they would not be able to login without also having access to your mobile phone. 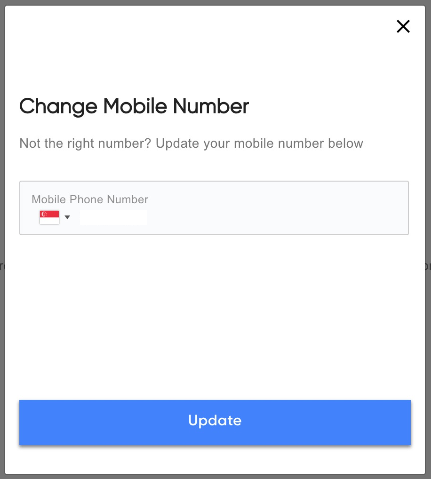 The mobile number you have on file for me is wrong, how can I update it? On the 2FA login screen, opt to receive your code via email. Once logged in, visit the settings page and update your phone number from there. 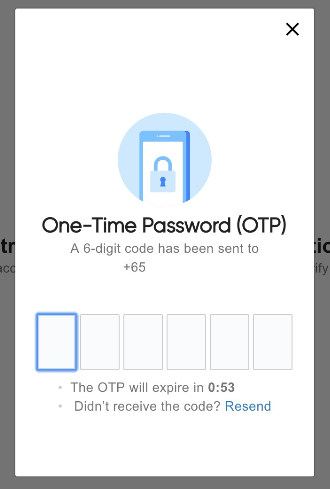 I'm still locked out of my account, what should I do?If you're not receiving any codes (via email or SMS), or can't access your account for any other reason, please reach out to us using our chat feature on the website or app. Can I enable 2FA for the Funding Societies mobile app? We've chosen not to enable 2FA for app login at this stage. This is because most mobiles are already secured with thumbprint or face recognition. We are also collecting feedback on the 2FA feature, so if you think it's essential for the mobile app too, please let us know! In the meantime, to enable thumbprint or face recognition on your phone for logging into our app, you can head to your phone's settings and adjust the password or facial/thumbprint recognition section. Do also ensure that you have the latest version of our app, for the security measures to work.